At the beginning there is a sheep, or rather, quite a lot of them. They are wearing what we eventually turn into tweed, throws, scarves, blankets, shawls, home furnishings and more. Wool is the most fantastic fibre and we love working with it. It is natural, warm, breathable, resilient and elastic, easy to care for, odour resistant and biodegradable. And, sheep re-grow it every year! Sheep used to be clipped with hand shears, but now most people use electric shears. 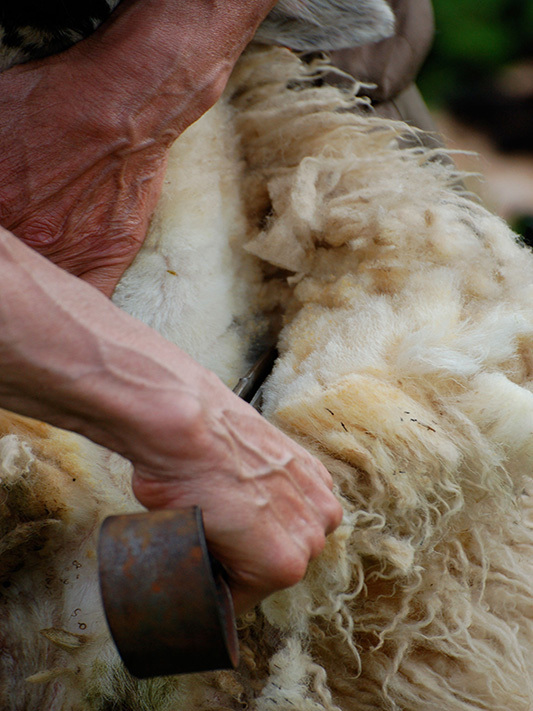 Shearing or clipping is a real skill, but looks deceptively easy if done by a good shearer. Every move has been perfected by repetition over hundreds or thousands of times. Sheep and shearer are in constant motion, changing position to achieve the all-round haircut. 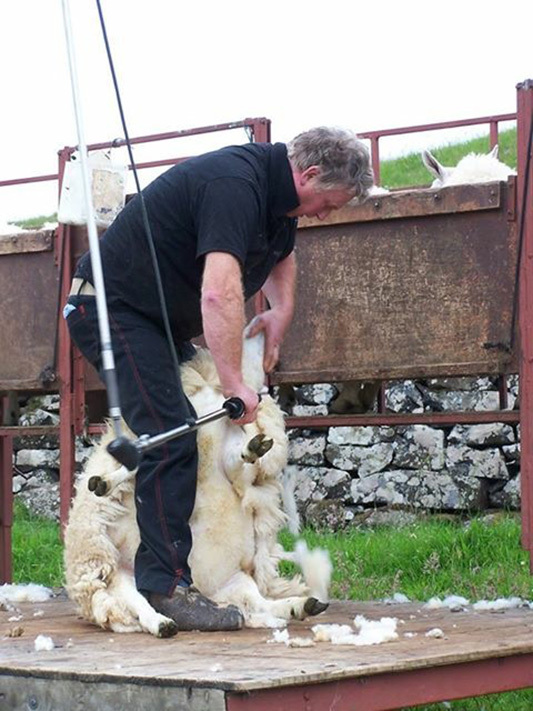 A shearer we know used to say clipping is like a dance with the sheep. We often use the natural sheep colours in our weaving and like to think of all the sheep that contributed to that particular item. On Skye we are surrounded by hundreds of sheep and the obvious assumption is that we use their wool. At the moment this isn’t the case, but we are working on it. Unfortunately there is no spinning mill on Skye, so we need to take the wool to England to be washed, carded and spun. We are just in the process of doing the first test runs with Skye wool and are really looking forward to seeing the results. We are very excited about the prospect of using local wool in our weaving. At the same time we will also continue weaving with woollen yarns from further afield. 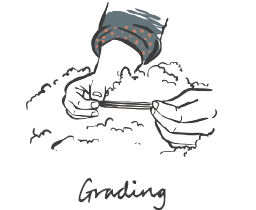 The Skye climate and rough grazing are perfect for breeding tough sheep, whose wool will be great for tweed and blankets but won’t be smooth enough for scarves and other soft items.